In-Home Couples/Engagement Session? Yes, please!! Shooting in-home lifestyle sessions are slowly becoming my favorite type of shoot. In my eyes there is nothing more authentic than delivering finished photo’s my clients love, in the space that they also love! How to Find The Wedding Photographer Thats Right for YOU!! A sneak peak into our Nursery design for Baby Ari- “Rustic Meets Modern”! Let me be the first to tell you- there are a ton of talented wedding photographers out there!... There are even more people “with cameras”. So when it comes to you wedding day you want to make sure you’re hiring a pro with experience. After all, you only get to live this day once, and many of the best moments that day happen without notice. So having a photographer that can make adjustments on the fly and not add undue burden or stress to the day can really be a life saver. Having a streesful non-prepared media team can bring down the energy levels of the entire wedding party, and looking back you want to not only love your photo’s, but also love the experience provided by the photographer. So here are some tips for finding the right photographer to cover you wedding day. Now before you put out a recommendation post on Facebook and receive a more comments than you can filter through, personally message any friends who’ve recently been married and ask them about their photographer and the experience they had with them. Ask them if there was anything they wish they would have looked for in their photographer? Then build a list of a handful that you’re interested in meeting with. I would then sit down with your significant other and start scrolling their social feeds making sure you dig their style of photography and general editing style. Some are more fine art and some candid. Some have saturated colors and dark mood tones, and some are bright and airy. While I try to mix in whatever the mood in the picture calls for, some photographer stay in their lane, but make sure you see a consistency that you like. SIDE NOTE: beware of choosing strictly by social media feeds! Every picture looks great on a tiny screen- many photo imperfections and lack of lighting knowledge can be disguised on an insta-grid. By now you’ve narrowed down your top choices and you’re ready to start doing deeper research. Go read reviews from couples that you don’t know and see what they had to say about working with the photog at-hand. Like mentioned above- wedding experience is critical. Many super talented photographers won’t touch weddings because they don’t like to deal with embracing the unknown and enjoy shooting in a very controlled environment (certain locations, only at sunset, only in studio, etc) Great wedding photographer’s knowingly accept that there will be many times throughout the day that they will be shooting in circumstances outside of what we would consider “ideal”, but experience has taught them much and they will be prepared for whatever your day might hold. This in my opinion is the most important part of the process. On the day of your wedding you are literally tracked and followed by your media team: almost like your very own personal paparazzi! She if you’re going to hang out with someone the entire day on the most important day of your life, you want to make sure that personalities’ are not conflicting and there is a positive energy throughout the day. You don’t want your wedding day to be the first time you meet your photographer. You also don’t an event company just sending you whoever is available for your day based on the entertainment package you purchased. Meet your photographer out for coffee. Go to their studio for a chat! The last thing you want to do is look back at your photos and the first thing you remember is how you and your photographer we at each other’s necks all day! My consultations are free and required before I will book with any couple. I would love the chance to sit down with you and discuss covering your day! Want to know some great questions to ask your potential photographer? Go here. “Uncle Fred” Might end up costing you more in the long run.. The fact is, almost 90% of the couples I talked to who have a story like this do it out of sheer innocence. They had every intention of hiring a quality photographer and of course desired to have outstanding photo’s returned to them after the wedding- but they simply didn’t know what questions they should be asking, and were blinded by the low cost (if any at all) offered to cover their day! Now, don’t get me wrong- every photog has to start somewhere in this profession and even when I did my first wedding, I did with little expectation of making over $800 and I had previous professional camera experience within segment of the photography gambit. However, I quickly learned that I didn’t have a clue about what it took to price and properly service an entire wedding experience . The amount of prep time needed to properly execute the day, the proper gear needed day-of, the amount of time invested in post-production editing : $1000 weddings would never cover what it would take to run a sustainable business and deliver the quality of images that would well represent my band. Not to mention, I had one camera body and multiple lens, but I didn’t even think how big of a disaster it would be if it failed during that day. I was building my pricing around what I had seen on Facebook groups and budget friendly blogs- I had no idea what the market was like for “good” photographers, or heck, what was even considered “good” wedding photography lol! So long story, short. I’ve been there before- as the $800 photographer and as the budget client. Fast forward to now and I’ve been shooting weddings and other forms of photography for three years, and I believe I have a firm understanding of what it takes to properly cover a wedding. The purpose of this article not being to shame those shopping for wedding photographer’s on a razor-thin budget, or those who’s in-laws are suggesting that “Uncle Fred” shoot your wedding for $200… But to provide realistic information to brides and grooms about what kind of cost to expect, and why you will pay more for them, in terms of hiring a quality photo/video on your wedding day. I get it-”we want every single image from the day” “how many images will we get back?” Those are great questions to ask! But the real questions should be about the quality of the pictures you will receive! Cell phones are incredible and offer us for more superior photos than what they did in the past. An iPhone can take some seriously awesome pictures! I know , because I have one, and use it all the time for candid moments with my family and the pictures look great on Instagram… But that’s where it stops. We can’t be so fixated on cost that we turn our eyes against quality in hope of quantity. 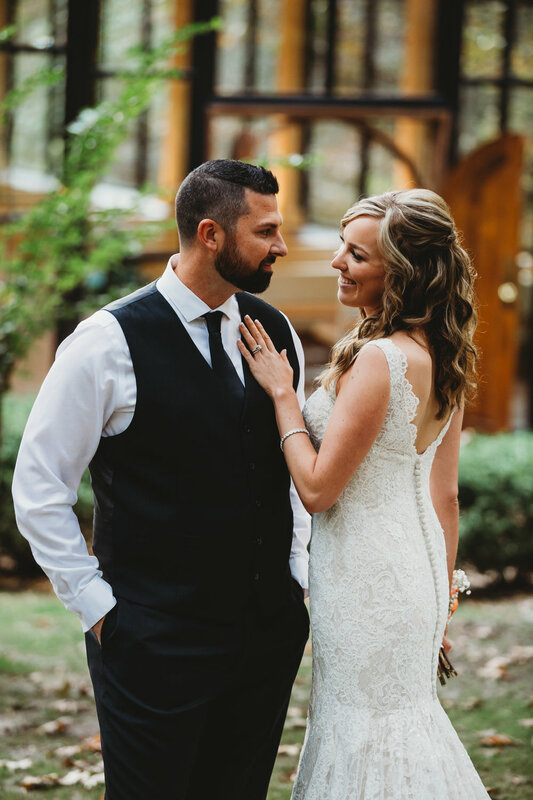 Shooting an entire wedding day in various indoor/outdoor settings require a complex understanding of knowing how to use and manipulate light in order to obtain quality images that will show well not only on web, but also in print, formats! I often find myself having to overhaul settings to capture a candid moment that can’t be recreated in a moments notice! This is something you want to entrust a professional with and it takes years of shooting, training, and investing in one’s gear to know how to do this in order to deliver a quality finished product. Now your Uncle Fred might tell you’ll get every photo for $500, but at what cost when you realize half of them are not able to be used?? Quality over quantity everyday. “$5,000 for one day of work?! ?… Boy, Im in the wrong business” I’ve heard that from an actual customer before I booked them. And it wasn’t until I was able explain myself it when they fully understood…Professional Photographers are not simply taking photo’s for 8-10 hours of you wedding day. On most weddings I will devote more than 30-40 hours of time editing all my clients photo by hand ( I call it editing “with love” instead of by hand lol), putting together albums, answering emails and correspondence, paying taxes, and attending to the other administrative duties that are required to do this line of work full time! So while it might seem absurd to pay someone $4,000 for a day’s work, the amount of time put in pre and post-wedding ends up being far more than just 8 hours and requires a substantial investment in proper gear, and expierenace to be able to service them properly. Embracing The Unpredictable- Can Uncle Fred handle it? Even the most organized and well planned weddings will have delays, snags, or unexpected weather that will resort in some creative improv. Trust- it rained the entire day of my wedding, and my wife’s dress didn’t fit day-of and it' kept falling down which kept her from getting the bridal portraits she wanted (it was a sweet-heart neckline which is strapless for you males still reading). So among other things we had to flip our tentative schedule virtuously upside down. It’s situations like this where you need someone with the gear, knowledge, and confidence to embrace the situation at hand and turn lemons into a vodka-sprite (with a lemon of course) and not add any additional stress onto an already stressed bride and family. You’re photographers attitude can really bring down the entire wedding party! So you’re now reconsidering, “Uncle Fred” … and asking me “How do I find the right photographer for me?” This one might make me sound a bit ridiculous, but I always suggest to all my clients, even those who are insistent in booking with me, that they take some time to talk with other photographers. Why is this so important? Because your day is so important! And considering that you’re going to be followed around by these people on one of the most important days of your life, you need to be sure there is a good energy and connection between the media team and the couple. In fact, that is why require a consultation before booking- the best raw emotions come from having a genuinely great time working with your team, and not everyone is attracted to my personality and I can respect that! So find the photographer that best suits YOUR needs. 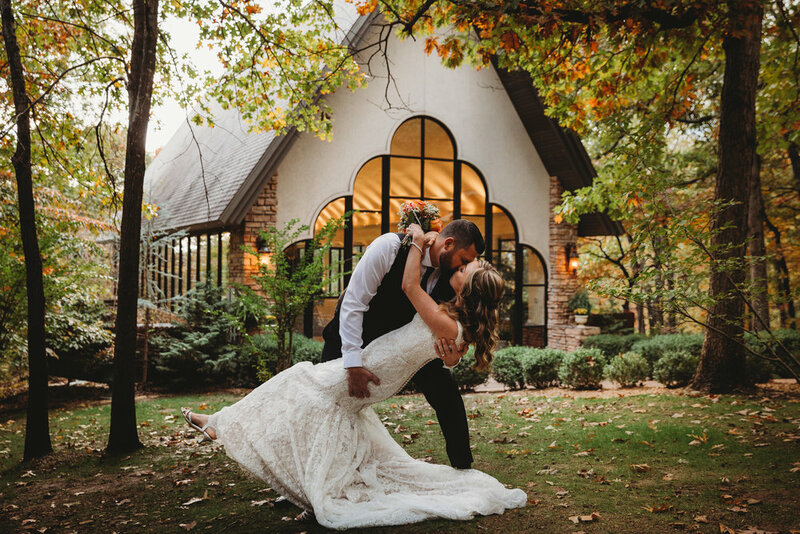 So to sum it up- there truly is a photographer out there for everyone, but it’s important for the couple at hand to understand that a wedding day is a day that can’t be physically re-lived- However, hiring a quality professional photographer, you can re-live it through your captured photo’s. If you still choose to let (Insert Family Friend Here) shoot your wedding because he’s doing it for cheap, make sure you consider the above mentioned and hopefully it will help to ensure everyone has the absolute best wedding experience!